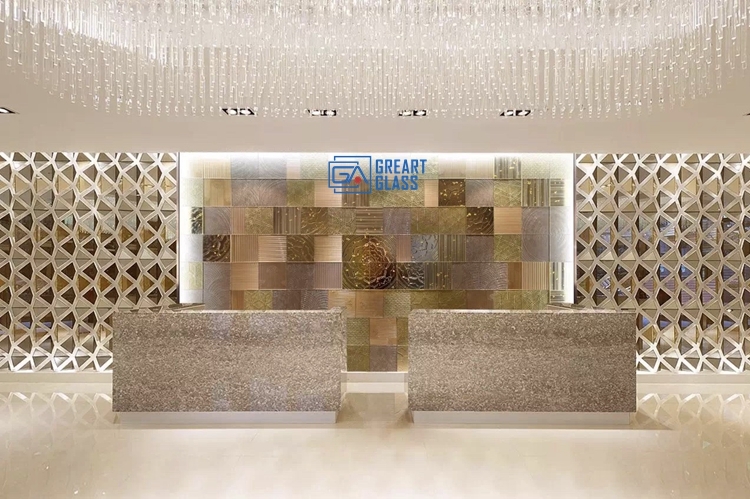 Application: background wall, porch, partition, glass curtain wall, landscape decoration, luxury shop facade & interior decoration etc. 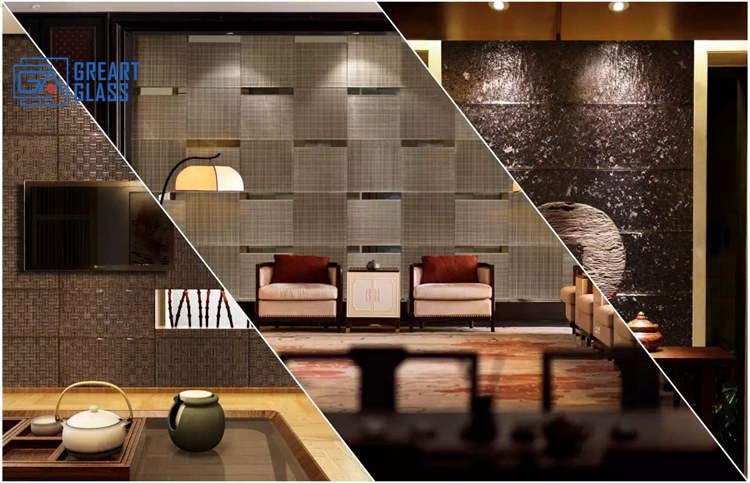 The modern decoration attaches great importance to the aesthetic feeling of material, form and composition. 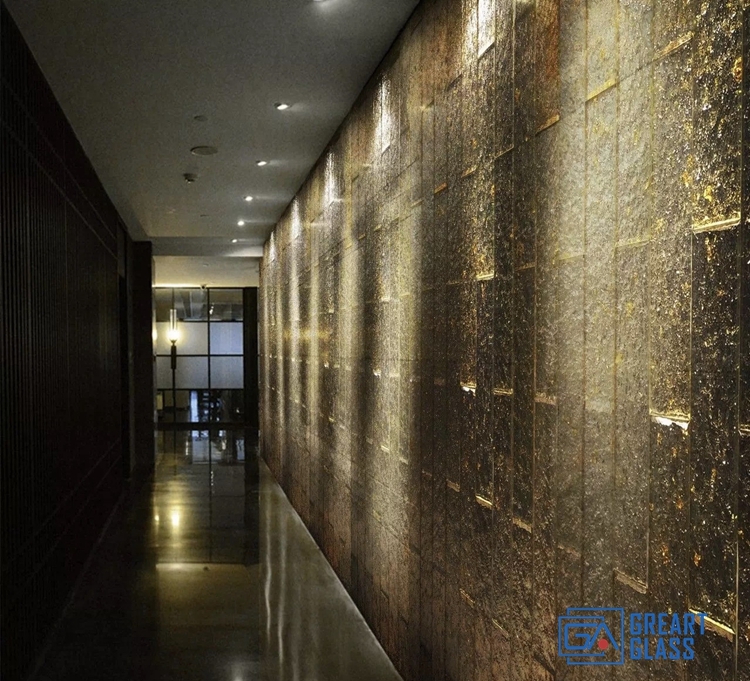 It creating a simple and fashionable visual enjoyment for space. 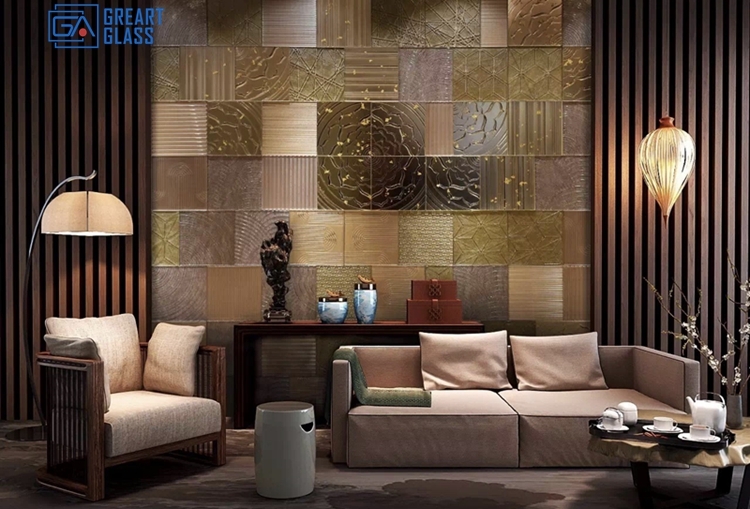 The artistic decorative glass applies in the indoor and outdoor, which gives the human with the succinct atmosphere feeling. Thus manifests the contracted but not the simple decoration bearing. 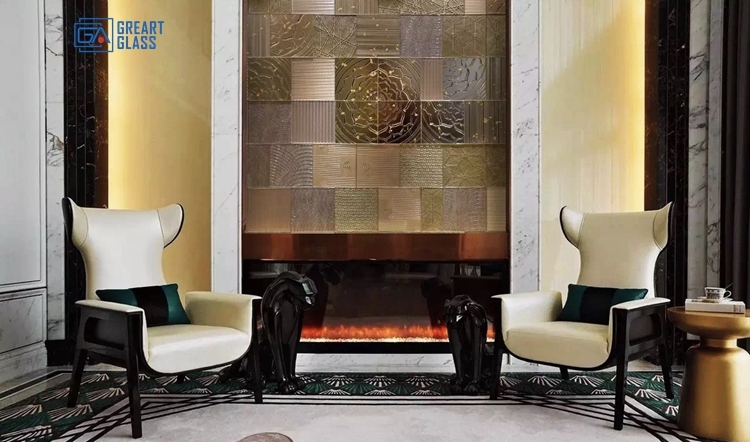 Ultra white glass high temperature cast classic decorative texture, clear lines smooth, fine details, champagne gold and elegant rice color match, warm and fashionable. 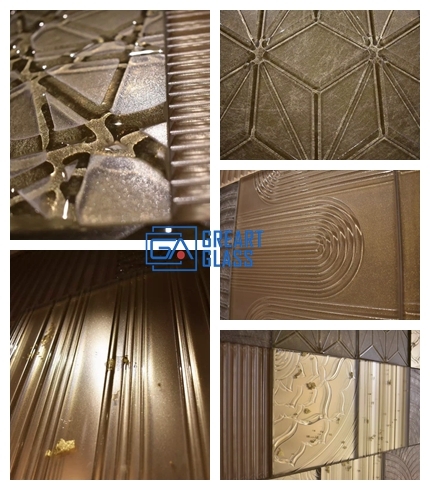 What you can get from GREART GLASS? Customize made glass at your request.